How is it Monday, already? This weekend was awesome and just like all the rest, it flew by. If you follow along on instagram, you know that I was back home in Savannah for Saint Patrick's Day. We had an absolute blast with family and friends. Good times were had by all! Here's a glimpse of our weekend from the lenses of our cameras. Friday we attended a family gathering with my Dad's side of the family. We learned a lot about our Irish heritage and visited with family from near and far. It was really fun! 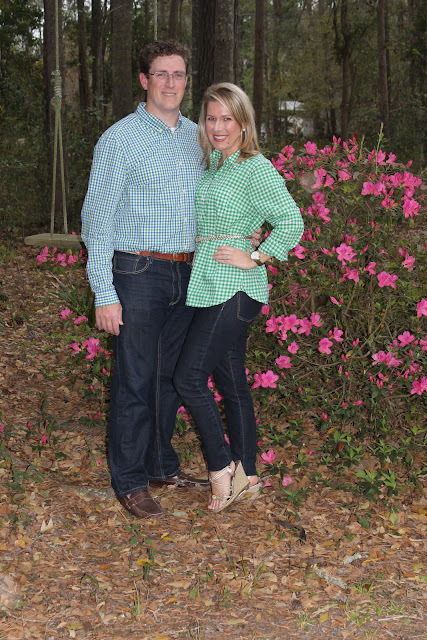 I wore my new green gingham shirt for the occasion. Saturday was the BIG parade. We had a great spot on the parade route (corner of Abercorn and Liberty Streets near the WTOC broadcast for you locals), thanks to some brave family members who set up our chairs around 4am. Here are a few of my favorite pictures from the parade. The sun shined bright on our faces and we were grateful for it! The Clydesdales are always the show shopper of the parade! Benedictine is our all boys military high school. It's a long standing tradition for girls to apply red lipstick and run out and kiss the boys when they come by. The boys try to keep a straight face but most of the time, it's not possible. So cute! My brother is in the United States Coast Guard so we are a Coastie loving family! This year they added the inflatable mascots. So cute and the kids really loved it! How cute are the Coca-Cola Polar Bears? One of my favorite floats! 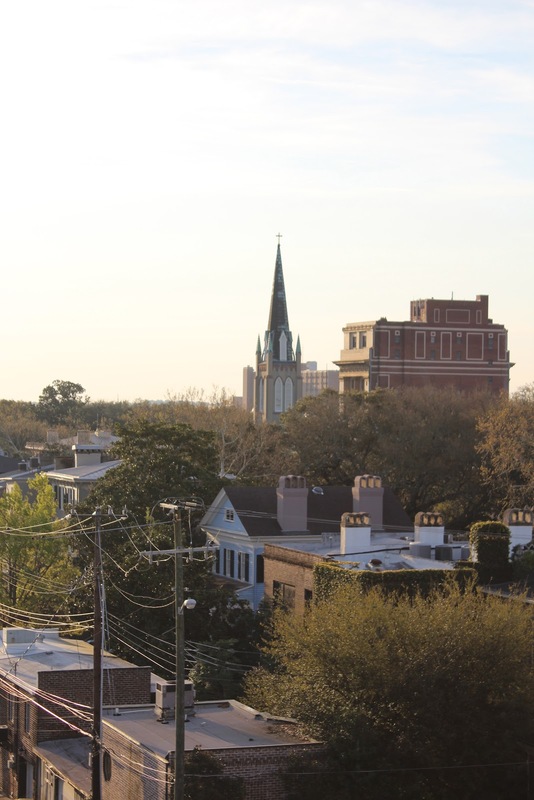 SCAD is such a big part of Savannah and has really helped with the restoration of downtown Savannah. This is one creative bunch! One of the many green fountains in the squares. You may not be able to tell from this picture but the water is dyed green for the holiday! One of the local boutiques carrying Lilly Pulitzer represented well with this fun Jeep! Watching the parade with The Husband. Quick shot of downtown before the parade. Quick pic of the Talmadge Bridge. Hope y'all had a Happy Saint Patrick's Day Weekend! There you have our weekend. It was loads o' fun and went by too quick. Here's hoping this work week flies by! Hope on over and find some new blogs to love on! What a great weekend! I've always heard of Savannah's St. Patty's Day festivities, looks like it lives up to the great reputation:) Lovely family you have!!! Love you and your family's green outifits! Ahhh! This looks like so much fun. 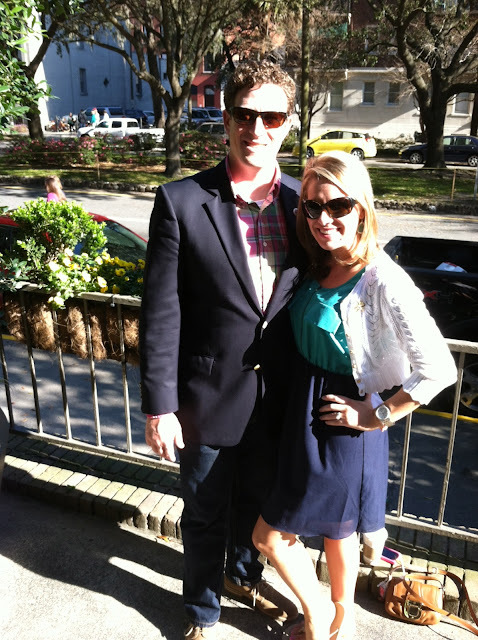 I am determined to get down to Savannah soon for St. Patty's! What an awesome tradition to have - and I love that your whole family takes part. That's a really neat thing to have :) Love that gingham,too! What a wonderful weekend! I love all of the green outfits and military love! I love seeing all of the pictures of your family! Hope you had a good Monday! You and your mother could be sisters! You are both beauties! Looks like a great weekend! Loved all the pics. Goodness, this makes me miss Savannah. I love the "stealing kisses" tradition. How sweet is that? 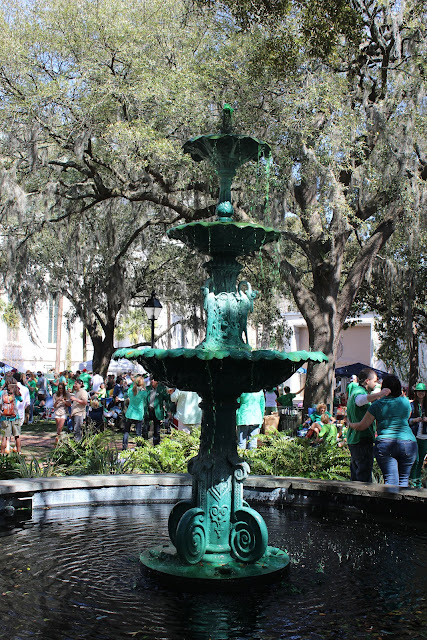 I heard that St. Patrick's Day was a big deal in Savannah, but I didn't know what a great parade they had. I'm glad you had a great weekend! Love your green checkered top! Wish it was warm enough here (we have snow!) to have a St. Patrick's Day Parade. I'll just have to move somewhere warmer! 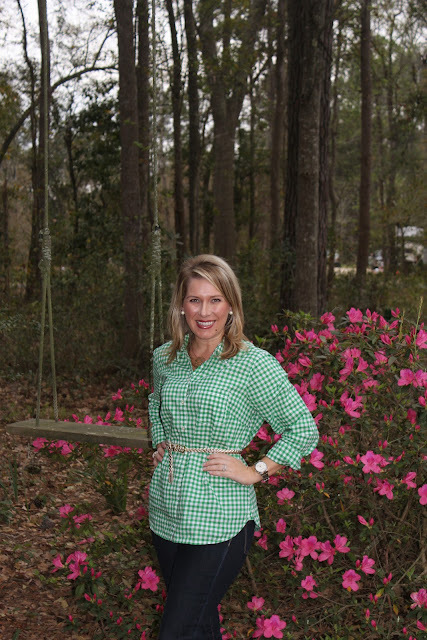 Love your gingham shirt! And the Clydesdales are always my favorite, especially after the Super Bowl commercial!! Looks like a great St. Patrick's Day weekend!